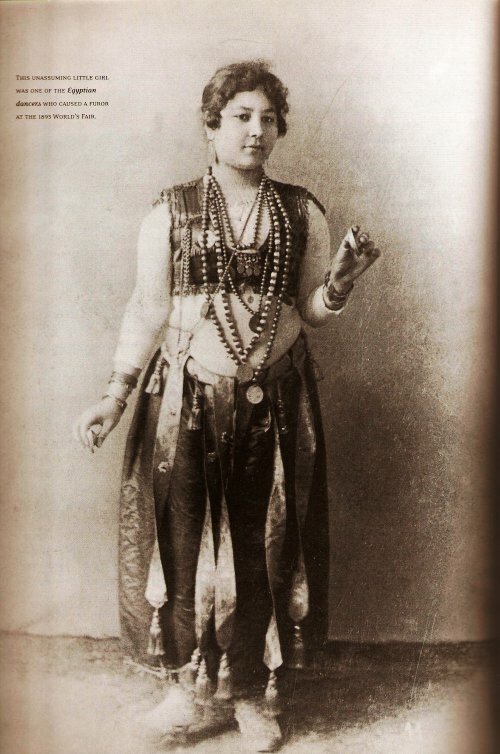 “This unassuming little girl is one of the Egyptian Dancers who caused a furor at the 1893 World’s Fair.” from the book Striptease: From Gaslight To Spotlight by Jessica Glasscock. Could this dancer be the inspiration for the 1962 Coasters hit record “Little Egypt”? singing, “Yeah yeah! Yeah yeah! Yeah yeah! Yeah yeah!”. Thanks for sharing those lyrics, DQ! I’m gonna have to track down that song!